Product prices and availability are accurate as of 2019-04-24 13:39:42 +08 and are subject to change. Any price and availability information displayed on http://www.amazon.com/ at the time of purchase will apply to the purchase of this product. 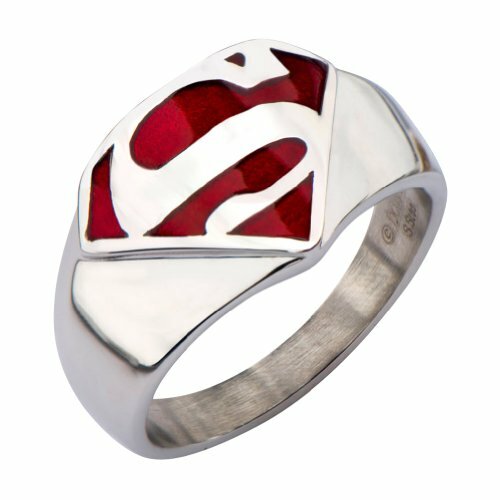 This cool Superman stainless steel ring has a sparkling white Superman logo on a red background. It is a great superhero gift for birthday boy if you are looking for Superman gift for him to wear it every day. This nice little gift can add to his superhero collectors items if he is a Superman fan too. The Ring Size is available in 9, 10, 11 and 12.